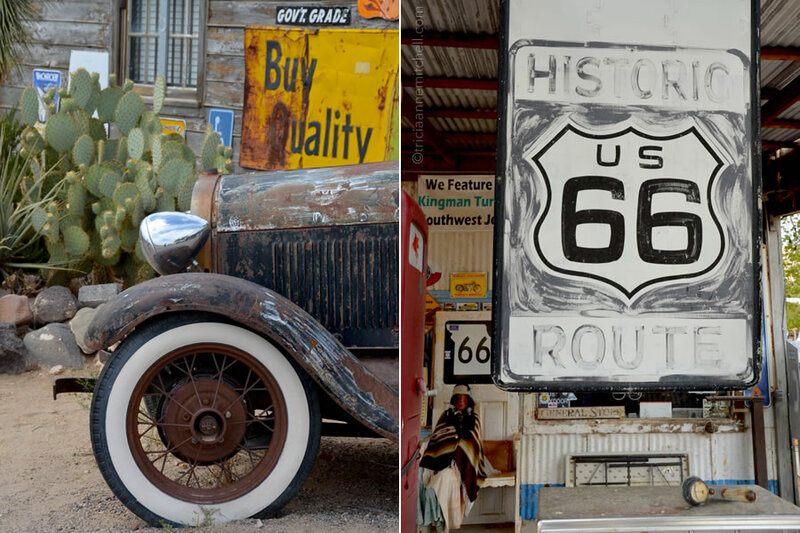 Great nostalgic photos and taking us down one of America’s best….Route 66. Loved it. Glad you enjoyed some armchair motoring, Lynne, and thanks for your nice comment. :-) Have you gotten your kicks there yet? So much fun! Fab post! This has been on our to-do list for a while and we hope to include the Flagstaff stretch on our next visit to the SouthWest. I will remember this post and return to it when the time comes. 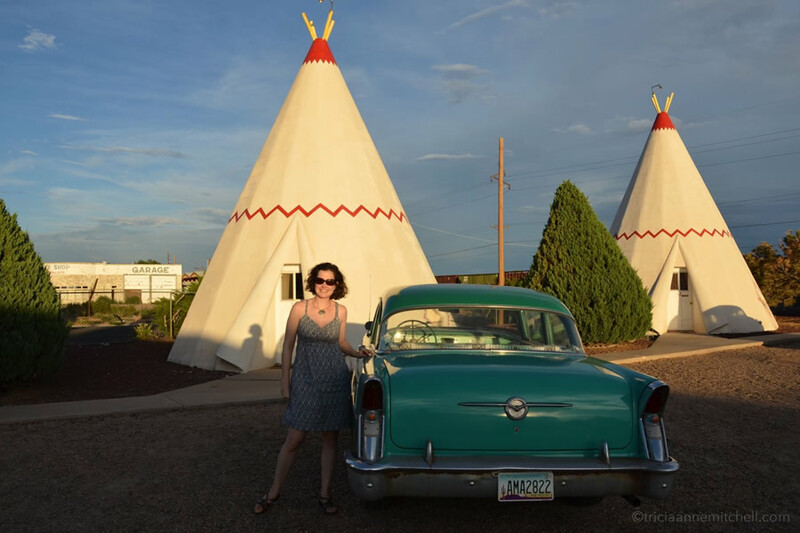 Rachael, I’ll be posting more images from Route 66 in the coming days, to give you more reasons to visit. 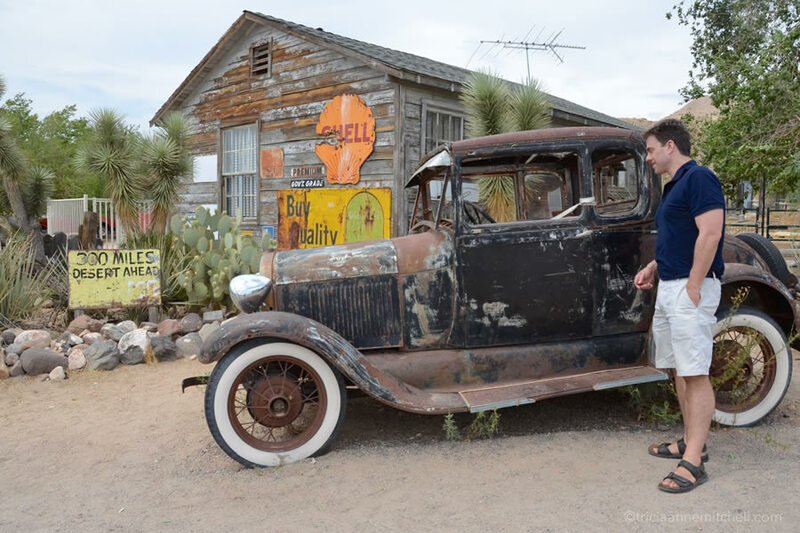 We were really lucky to have serendipitously stumbled upon some fun spots in New Mexico and Arizona, even meeting some travelers who’d driven 66 all the way from Illinois! It seems that there are passports available in which motorists can collect stamps from various stopping points too – something that I think would be especially fun for kids. Great series. I particularly like the sense of continuity you’re achieved in your presentation. What a great compliment – thanks, Stephen! This was just one of many stops on Route 66, so I have much more to share. Hope your week is going well! In many respects, it has! :) It’s fun to imagine what it was like in its heyday, though. 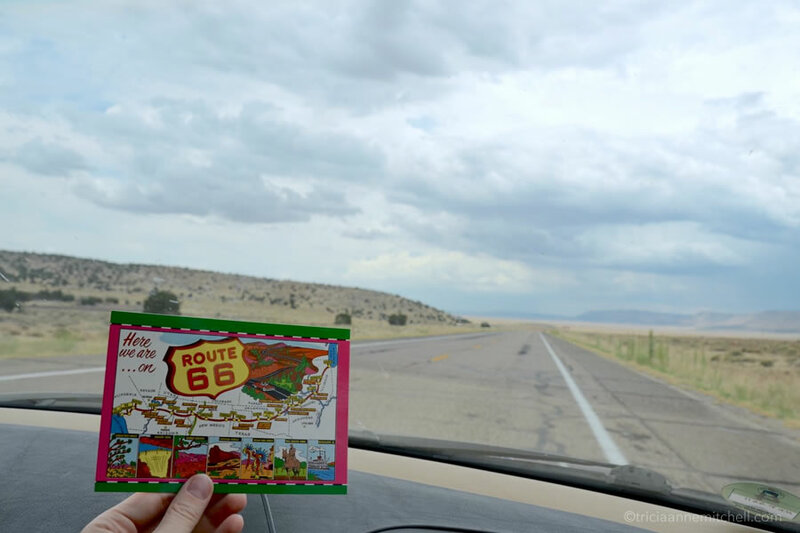 We met a woman whose parents have long owned a diner along a section of Route 66 in Arizona. She said that as a child, it was quite frightening to be near the road because the traffic was seemingly never-ending. How times have changed! It is, Madhu! I’d forgotten how wide and open the spaces are in the western United States. Add to that canvas rusted-out classic cars and trucks, ghost towns and motel marquees long ago retired. It’s quite fun indeed so I hope you’ll get the chance to explore it soon. Your comment made me smile too, Virginia. If you and your husband have not yet made a part of this drive, I highly recommend it! We stopped at a few fun eateries along the way, one of which I hope to profile later. Think: root beer floats, burgers, fries, and mischievous owners who made the experience all the more fun! classic americana, as good as it gets. Many thanks, Alessandro. Since I’ve lived in Europe for more than a decade, it’s been great fun to reconnect with such classic Americana! so many fab photos in here Tricia! Glad you enjoyed the post, Marina! I highly recommend taking a spin on Route 66 if you’re ever in the area. So much to photograph and enjoy! We just finished watching Billy Connelly’s journey on Route 66 so I enjoyed seeing your photos very much. I think it would be a great trip. Eternal Traveler, I hadn’t yet heard of Billy Connolly (I’ve been living in Germany for 10 years, so a bit out of touch with American pop culture) but we’ll have to see if we can check the Route 66 episode out while we’re in the States! Thanks for your kind comment – I hope you’ll be able to make the trip someday! Even though we only did short stretches, it was quite fun! Tricia, Billy Connelly is a Scottish comedian – very funny and quite irreverent at times. You should google him. The Route 66 show was a series of a few episodes. Carol. I just did; thanks again for sharing! When my husband and I read up on Route 66, we learned that there was even a sitcom in past decades. Such a legendary drive! Another great post, thanks Tricia, it’s got to be on my wish list. My, what a globe-trotter you are, Mark! Fantastic images! 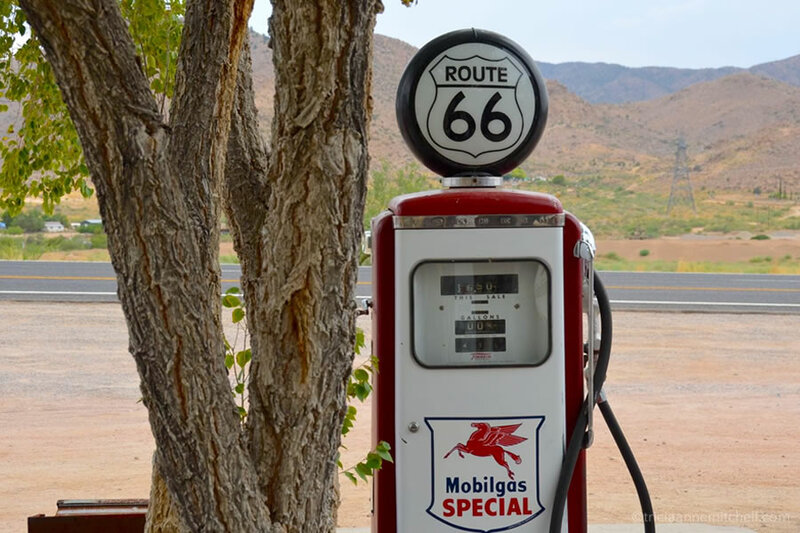 Travelling Route 66 is on my ‘To Do List’ and this post has moved it up near the top. Highly recommended! My husband was initially skeptical about the drive, but quickly became interested once we unravelled more of the route’s history and unique character. Here’s hoping you’ll make it to America’s ‘Main Street’ sometime soon! Great nostalgic feeling with your photos! Fantastic. What a nice compliment, Fergiemoto. Yes, it definitely seemed fitting to give these images an antique filtered look. 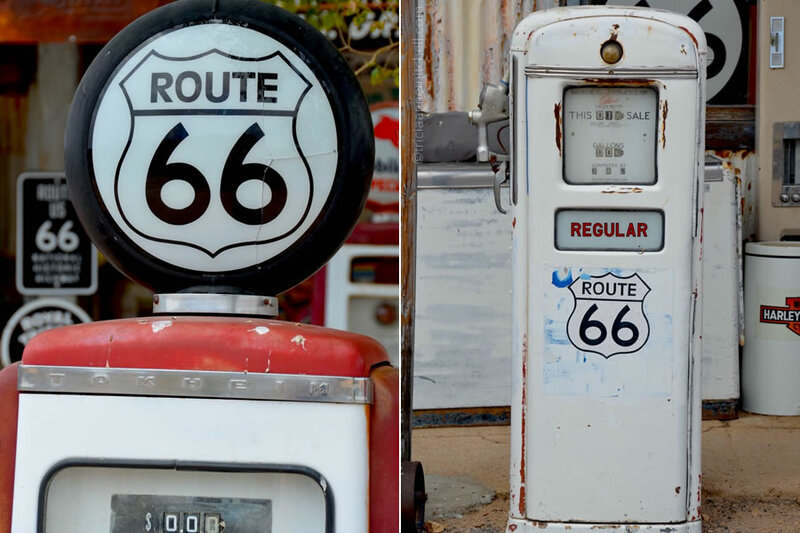 Have you had the chance to travel Route 66 at all? What a fantastic adventure through our country. Excellent photography and writing. (You and your husband look like great friends. You are blessed.) I live in Arizona & my family is in Indiana; I’ve long considered taking this trip alone (with my Cocker Spaniel). Your pictures inspire me that I can do it. Hi Mona – welcome, and thank you for your kind words. Indeed, we’ve been very fortunate to have shared many wonderful adventures during our whirlwind first few years together. As a former solo traveler, (Greece and Spain were my first solo trips, before I started exploring places like Tunisia, Morocco and India alone) I highly encourage you to make the trip! Granted, you’ll need to make some tweaks to your driving schedule, since your canine companion won’t be able to share driving duties with you :), but I think it’s a great part of the U.S. to explore. My husband and I started out in IL, actually going as far east as Québec City, then drove out to NV. 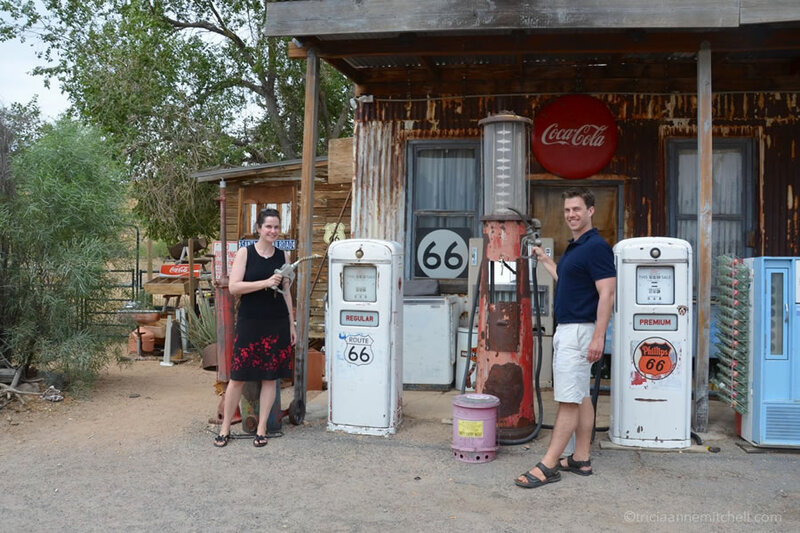 We only had time to explore a small leg of Route 66, but it was one of the most memorable legs of our trip! Terri, the anecdote about your uncle’s mischief brought a smile to my face on this Wednesday morning in Bulgaria. :) I wonder if your uncle’s customers eventually caught on? Re: Route 66, Shawn and I didn’t get a chance to follow much of it, but detoured on it whenever possible as we were taking my car on her farewell journey in the summer of 2012. She’d just sailed over the ocean from Germany and was ready to begin a new life with a new owner in the Southwestern United States. We couldn’t resist playing Nat King Cole’s jingle a few times, of course :) and we were happy to hear that residents are trying to revive parts of the ‘Mother Road’. The legendary stories that road could tell! These photos are absolutely stunning Tricia! What a trip! I’d love to take a road trip in the States one day – we’re kind of planning one from Seattle to San Francisco and San Diego. Thanks, Mandy! Seattle, San Francisco, and San Diego = sounds fun! Shawn and I did the first two cities back in 2012, during this wild North American road-trip that had us as far east as Québec City, and as far west as Seattle and San Francisco. 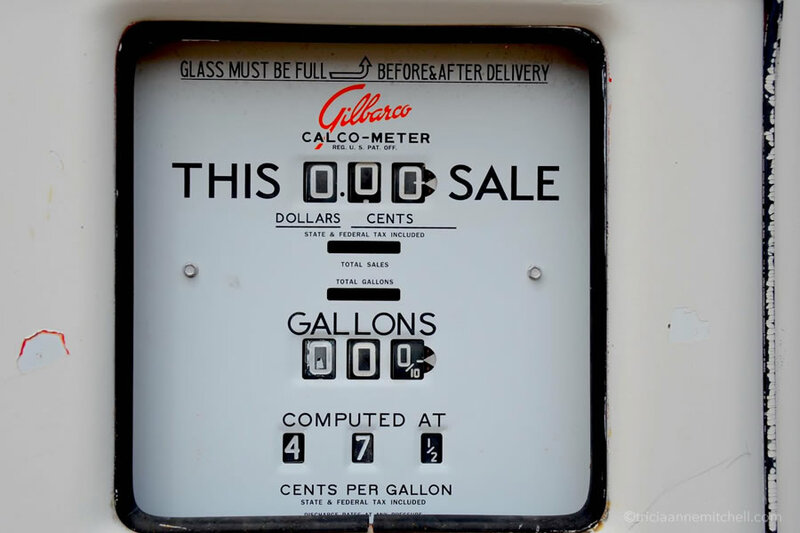 The road-trip was born out of the necessity to get my car to its new owner, after it sailed across the Atlantic, and I’m glad we made some fun stops along the way. When do you think you might be able to do the road-trip? It’s still very much in the wishlist stage. We were thinking of our plans for next year and as my husband hasn’t been to the States, we thought we’d finally do that. Terri & James, funny I just discovered that earlier this morning. 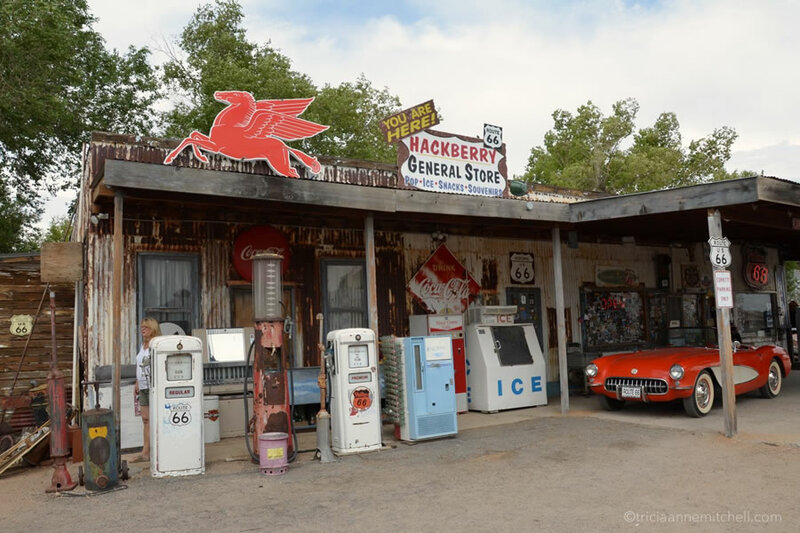 Flattered to have been included in your Slice of Americana Series, and glad to give the delightful Hackberry General Store in AZ a bit more well-deserved traffic. Thanks to you both! Found you through Terri and James, and awww… whenever I’ll make it to the U.S., that is the roadtrip I want to make too! Awesome pictures, filled with nostalgia! Freebutfun, Terri and James are an inspiration, and I’m glad you’re here as a result of their Americana round-up! I’d lived in Europe for 10 years before we did the North American / Route 66 road-trip. It was a fun way to get reacquainted with my own country. I’ve been wanting to get up to Finland for several years. Helsinki and the Finnish countryside look beautiful! Welcome :) There are some beautiful places here, as there are in all around the world!